Totalitarianism refers to a political system in which all authority is in the hands of the state. In a totalitarian society, all control of public and private life are government run. First conceptually developed in the 1920's by Italian fascists, primarily Giovanni Amendola, totalitarianism has been present in a variety of movements throughout history. Initially, the term was spun to be positive and refer to the positive goals of states employing totalitarianism. However, Western civilizations most often did not agree with the concept of totalitarianism and a great deal of discourse regarding the topic became prevalent from within governments, inside classrooms, and at the dining room table. Some governments and movements that Westerners have accused of being totalitarian in nature include Nazi Germany, Soviets during communism, and the Stalinist movement in particular. The difference between totalitarianism and authoritarian regimes is important to note. While authoritarian regimes place all of the power into a single dictator or group, that power is only political. Within totalitarian regimes, the leadership controls nearly all aspects of the state from economical to political to social and cultural. Totalitarian regimes control science, education, art and private lives of residents to the degree of dictation proper morality. The reach of the government is limitless. Joseph Stalin - In the Soviet Union, after the conclusion of Civil War, Stalin took over the country and began executing any people who were not in alignment with the goals of the state. Benito Mussolini - Having seized power in Italy in 1922, Mussolini become the leader of the nation and immediately began to rule in a totalitarian manner. 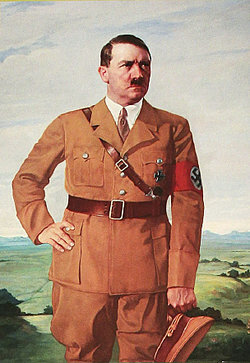 Adolf Hitler - Notorious for his reign in German, Hitler employed totalitarianism as a means to attempt to achieve an obedient nation that was his personal vision for the country. North Korea - North Korea has been ruled by the same family since 1948. The family has been running the country based on the concept of self-reliance. However, severe economic declines have contributed to the country's struggle to maintain totalitarianism. Mao Zedong - From 1949, when he established the People's Republic of China, until his death in 1976, Chairman Mao lead China in a way in line with the concepts of totalitarianism. Now you have seen a lot of different examples of totalitarianism from which you can understand better how this political system works. "Examples of Totalitarianism." YourDictionary, n.d. Web. 18 April 2019. <https://examples.yourdictionary.com/examples-of-totalitarianism.html>.